Needles have a definite bluish cast. Comments: Occurs primarily in the mountains of the Western USA. 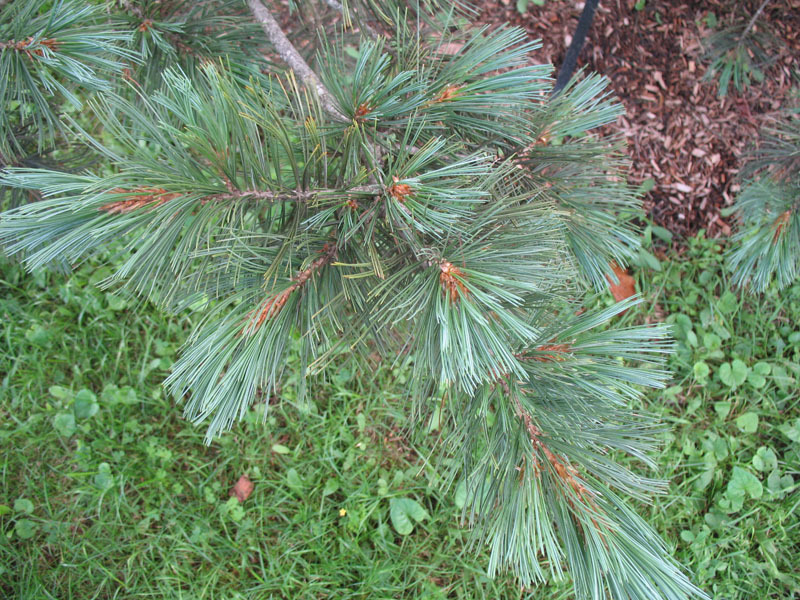 A small to medium sized tree with an uneven crown and usually multistemmed. Limber pine has an upright prymidal form and long bluish needles. Will not grow well with shade. Has tolerance of some drought conditions when established. A excellent as a farmstead windbreak.